HomeNSW Government ICT strategy – first mention of open data and open government in NSW – Yay! NSW Government ICT strategy – first mention of open data and open government in NSW – Yay! The Department of Finance and Service ICT Policy unit has led the move into open government and open data for the NSW public service with the development and publication of their ICT Strategy. Let’s hope this heralds much greater access to NSW public data! The Strategy will be driven by the ICT Board, with seven Directors General including Premier and Cabinet and Treasury. The idea of open data is pretty radical for the NSW Government at this point, so there’s huge potential for impact! Information and communications technology is an everyday tool for almost all our daily transactions and information needs. It allows for innovative approaches to government service delivery and community and industry engagement. The NSW Government ICT Strategy 2012 sets out the first steps to support the public sector to drive better service delivery, greater transparency and better value from investment in ICT. 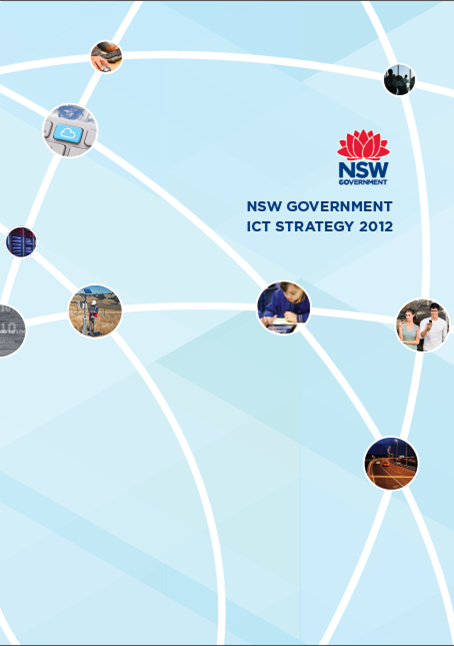 Download the full NSW Government ICT Strategy 2012 pdf (23 MB) or the overview document pdf (2.7 MB).